Why is the buyer asking the seller to pay their closing costs? The buyer’s motivation is simple, they want to purchase a home! The buyer has to come up with the downpayment amount, money to order inspections, money to order the appraisal, and money for their buyer closing costs. This all can add up to tens of thousands of dollars. In order to get approved for a loan, the buyer may have to ask the seller to assist them with their closing costs in full or in part. What are the buyer’s closings costs? The buyer’s closing costs are so high because they include the loan origination cost, property taxes in advance, homeowners insurance in advance, mortgage interest in advance, escrow costs, and much more. Should the seller pay the buyer’s closing costs? Now this is where it gets tricky. If the seller is in a multiple offer situation and has the luxury of picking the buyer, you can be fairly sure the seller is not going to ever pick a buyer that is asking them to pay additional closing costs. But if the seller has been on the market for a while and the only offer from a buyer is one where the seller has to assist the buyer with their closing costs, it becomes a realistic, if not ideal, option. However, the seller should be fully aware of how paying the buyer’s closing costs will or may affect the transaction. How does the seller paying the buyer’s closing costs hurt the transaction? Transaction Risk. In the residential real estate contracts the majority of real estate agents use in Oregon, the buyer’s finance contingency runs from the day the offer is accepted until the day of closing. This means that (unless you change the contract) if a buyer is pre-approved but something unexpected comes up in underwriting (which is part of the process of the lender giving the loan where the lender digs into the buyer’s financial story) the buyer could suddenly fail to finance a few days before closing. In this case (unless you change the contract to reflect otherwise) the buyer would get their earnest money back in full and the seller would be sitting there holding the bag with no sale and no compensation after taking their home off the market for 30 days or more while the deal was pending. As I’m sure you can imagine, this is awful for the seller. So it follows that the seller will always prefer to have the most financially secure buyer possible (one that doesn’t need the seller to pay their closing costs). Inspections Risk. What does paying the buyer’s closing cost have to do with home inspections? Plenty. You see locally, I’d say over 99% of buyers ask for repairs (I know this with certainty because my team sells close to 300 homes a year). With 99% of buyers asking the seller to make repairs on the home before the buyer will purchase it — the inspection period is a major part of any real estate sale. The best possible way to solve a buyer’s repair request (other than getting the buyer to remove the request altogether, which usually is a non-starter) is for the seller to offer a credit, in other words for the seller to offer to pay some of the buyer’s closing costs. This is a real problem if the seller in the original offer has already agreed to pay most or all of the buyer’s closing cost! There is no room left. 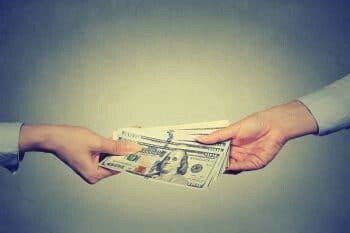 The seller offering to pay say $2,000 of the buyer’s closings costs in lieu of a few major repairs can be a win for the seller and puts more money in the buyer’s pocket to take on those repairs themselves. This option is gone if it is already used up in the original offer. This option becomes even more appealing when you realize that according to our local contracts if the seller performs the repairs or pays to have repairs performed, all of those repairs are subject to the buyer’s approval of how those repairs were done. I’m sure you can imagine how often the two disagree after repairs are complete. The seller offering a credit is usually the best way, and the best way for that credit to be applied (for various reasons I won’t dive into here) is toward the buyer’s closing costs. Appraisal Risk. One method of dealing with the buyer’s request for closing costs is simply to increase the sales price. So if the buyer asks for $7,000 toward their closing costs and the price of the home is $400,000, the seller may simply counter the sales price to be $407,000 and leave the closing costs the same. That might work out okay, but the home will need to appraise. The appraisal process is for the lender, not the buyer or seller. The bank will want to know that the home is worth the $407,000 and will only issue the loan to the buyer, typically, if the appraisal matches that price tag. So by jacking up the sales price to potentially net the same amount, the seller could be putting the transaction at risk for failure to appraise. What happens in our local contracts (unless modified) when the appraisal comes in low? The buyer can walk and get their earnest money back in full, and once again we have the seller holding the bag. Increased Seller CostsOkay, lets say like above the seller increased their sales price to $407,000 from $400,000 in order to deal with the buyer’s closing cost request of $7,000. Now the seller should know by the majority of listing contracts used in our area, the seller will be paying real estate agent commission off $407,000 not $400,000 — unless modified. Now we charge a reasonable commission rate of 4.5%, so in that case it would end up costing the seller an extra $315 (4.5% X 7,000), which isn’t a lot of money, but the seller should be aware. Not only are real estate commissions typically based on the sales price but so are seller closing costs (yes, the seller has their own closing costs to deal with, much less than the buyer’s but still there) like escrow fees and title insurance. So the seller could end up spending a bit more across the board at 407K than they would at 400K. This is not a major issue, but it is an issue and the seller should be aware. I’ll ask one more time, should the seller pay buyer closing costs? Sometimes. Hey, even with the potential negatives above, if your home is not selling and you have an eager buyer and you need to sell your home — guess what — most of these offers, even with the seller paying the buyer’s closing costs, will close. I do not believe it would ever be plan “A” for the seller to pay the buyer’s closing costs, but it can definitely work as a plan “B”. Understand the risks and rewards of any offer you receive and talk in-depth with your listing agent. Looking for a top seller’s agent that knows their stuff? Contact us today! Stephen FitzMaurice, Realtor is a top 5% real estate agent in the U.S. and a top 1% agent in the Portland Metro. Principal Broker in Oregon, Managing Broker in Washington he has been licensed since 2003 for residential real estate sales in the Portland Metro area. Call him direct: 503–714–1111. Pay less (4.5% commission max.) and get more with his top 1% listing team or buy your next home with his excellent top 1% buyer’s team. For our Clark County, Washington buying and selling services go here.